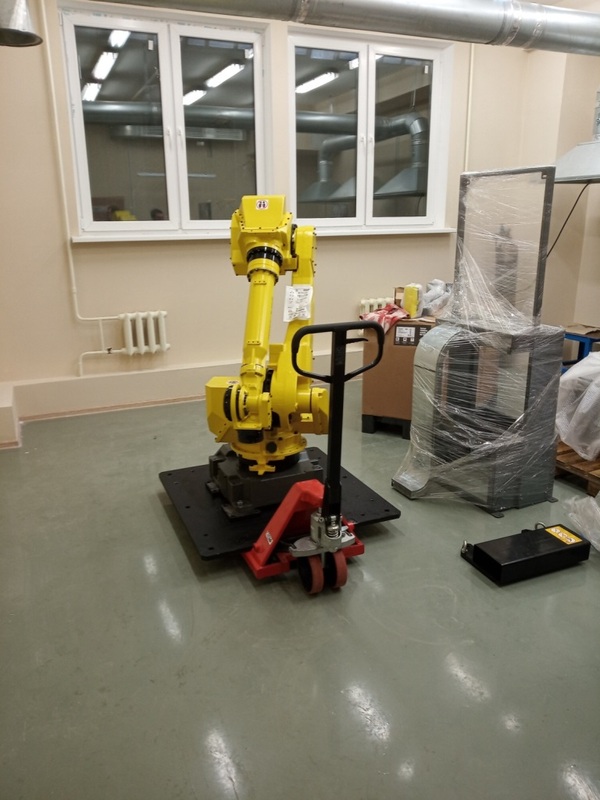 As part of the project of the Union State ‘Development of Educational and Scientific Activities of the Belarusian-Russian University on the Basis of Innovative Technologies’, a FANUC M-710iC/50 robot has been acquired by the University. The robot will be installed in the new Laboratory of Plasma, Thermomechanical and Welding Technologies and become a part of a robotic complex. The complex will be used for research purposes and in the educational process of the Department of Machine Building Technology for training students majoring in Machine Building Technology, Automation of Technological Processes and Production and Mechatronics and Robotics starting from February 2019, and in the future for the new major Equipment and Technologies for Highly Efficient Material Processing .